After a long, exhausting flight, the last thing you need is poor service from the airport transfer company that you chose. It should be the least of your worries, which is why it is essential to evaluate your options seriously. Different companies offer different airport transport services, but you surely want nothing but efficiency, comfort, and reliability. As you leave the relaxing business class atmosphere, you do not want to be trapped in a lengthy and unpleasant transfer. What you need to do is to choose one that is sure to give you a comfortable and luxurious ride. This is where we excel. At Legacy Limousine Service, we know how important it is for our clients to have a peaceful transfer from the airport to their destination. We guarantee that we offer our passengers with a deluxe experience. Whether you are traveling alone, with your family, or your boss, you will have a hassle-free ride with us, thanks to our terrific fleet consisting of modern vehicles. Unlike other companies, we do not have just one style of a car so that we can meet your preferences and requirements at the same time. At Legacy Limousine Service, you can choose from our limousines, sedans, SUVs, and party buses. Passengers demand a trustworthy airport transfer company in Modesto. Never select a firm that decides the time and place where they will pick you up. Legacy puts the needs of the customers first. All you have to do is make a reservation with us by filling out our online form, and we will meet your requirements while exceeding your expectations. Your personal chauffeur is the most important person you will deal with when booking for an airport transfer. Chauffeurs will drive you to and from your destination and are also among the first persons you will interact with right after you land. You certainly do not want to encounter a rude and unprofessional chauffeur, which is why Legacy is proud to say we have consistently dependable people who are willing to make your airport transfer pleasant. Transportation options are available for passengers, but airport transfer through our private limousine service is your best choice. For one, we offer greater accessibilities than cab companies. Our prices are fair unlike with taxi companies, especially when your destination is outside the city limits. More importantly, we make sure your airport transfer is comfortable, relaxing, and satisfying. Whether you choose our limousine or sedan, you can be confident that you can enjoy luxury comfort and personal service. With well-maintained vehicles in our fleet, you not only travel contentedly but also with a peace of mind. 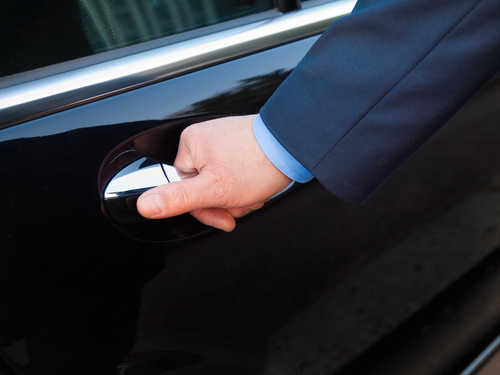 To get to your destination in Modesto without difficulty and in style, make a reservation or give us a call today.